All the perks of classic white bedding (crisp, fresh, versatile) with just the right splash of color. 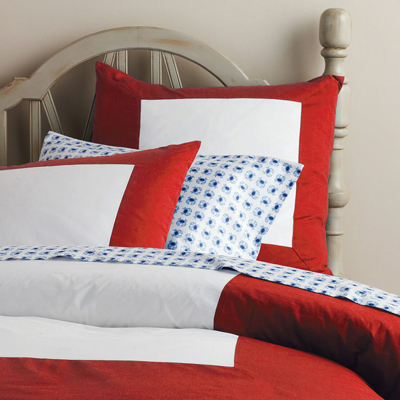 The beauty of the Red Color Frame Duvet Cover & Shams is that it sets the stage for a multitude of looks––use it as a base for more color and pattern or let it be the one bold element in an all-white bed. $14.99-$140. Buy here.